Step one in planning a driveway is determining your driveway needs and fitting them to the layout of your property. How many cars need to fit on your driveway? A two-car driveway, on average, should be between 15 and 18 feet in width. For a one-car driveway, you’re looking at eight to nine feet in width. It’s not a bad idea to plan for more room than you think you’ll need, as the minimum width to fit a car doesn’t leave much space for opening doors and walking between parked vehicles. Think about leaving two feet of space between your driveway and any planters or pilasters to ensure a car door can be comfortably swung open. Similarly, the layout will be largely determined by how your home is situated on your lot. If your garage is a straight shot from the road, it’ll be easy to construct a drive that connects the two. If your garage doesn’t face the street, however, you may need to plan for curves or a detour around the back of the house. Just as the layout of your garage relative to the street will determine the path of your driveway, the terrain of your property may affect your driveway’s path. It may be prudent to avoid steep slopes or winding it beneath a cluster of trees. For proper draining, however, your pavement should slope at a minimum one-fourth inch per foot. The shape of your driveway will again hark back to the layout of your home and landscape. If your garage is facing the street and not set too far back, a straight driveway is likely your best option. Keeping it short and simple will allow your landscape and home to take center stage. It gets a bit more complicated for homes whose garages are not right off the road, however. A long, straight driveway can create a grand-estate feel to your home. However, backing out of long driveways can be tricky. You may want to build turnaround areas or a circular driveway to avoid needing to back out. If your yard isn’t large enough to provide for a circular drive with a separate entrance and exit, you could elect for a teardrop shape. With a teardrop, you only have one entry and exit point but still retain the benefits of a circular drive. When the garage doesn’t face the street or is at the back of the house, you’ll be best off with a curving drive. Likewise if you have a property with a lot of trees or landscaping design features. The most important aspect of your driveway after its shape is the material you use to pave it. Concrete and asphalt driveways are two of the most popular choices because of their cost-effectiveness. 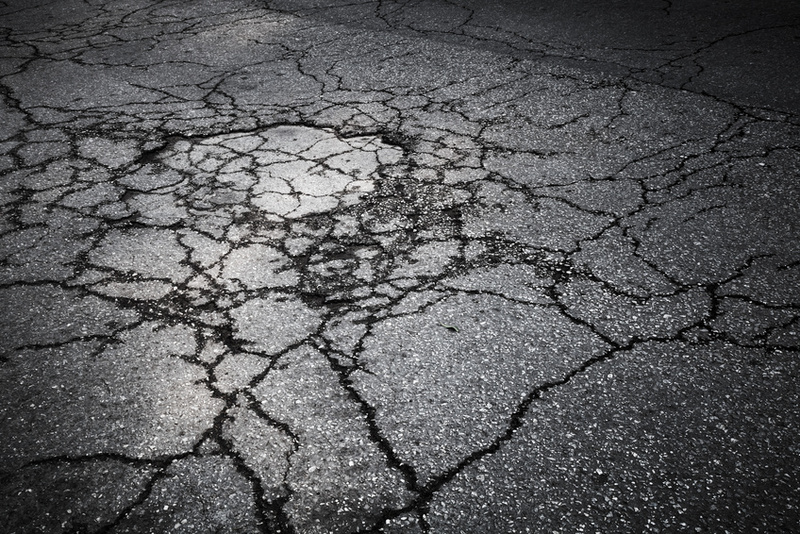 In addition to the lower installation cost, asphalt and concrete have a lower maintenance requirement and longer lifespan than more elaborate materials. A properly installed and maintained concrete driveway can last between 25 and 50 years. When thinking about aesthetics, asphalt and concrete driveways don’t usually come to mind first, but each offers more design options than you may think. They can be stamped and colored to look like other materials like brick or stone. Concrete driveways, for instance, are available in over 250 different hues and shades. Brick and stone are two other common choices. A well thought out driveway design can upscale your home. Follow these four easy steps to design the driveway your home deserves. It’s as easy as one, two, three, four.